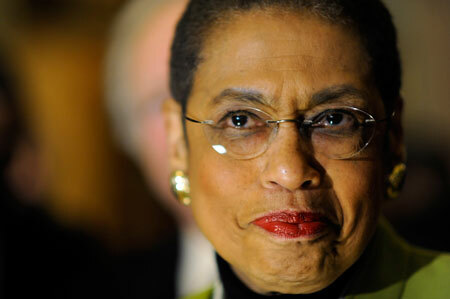 Eleanor Holmes Norton suffers backlash from cheerleader type Tweets she made during the Presidential Debate and Town Hall Meeting, Tuesday, October 16, 2012. *Members of the Democratic party are steadfast in supporting the president in his quest for re-election. Democratic politicians are even more loyal and some took to Twitter to show their love during the Presidential Debate and Town Hall Meeting Tuesday night. Eleanor Holmes Norton is a well-respected congresswoman representing D.C. in the House of Delegates and she took to Twitter like a parent with a kid on the field at a high school football game. The first Tweet she wrote seemed a bit out of character for her, but not too bad.